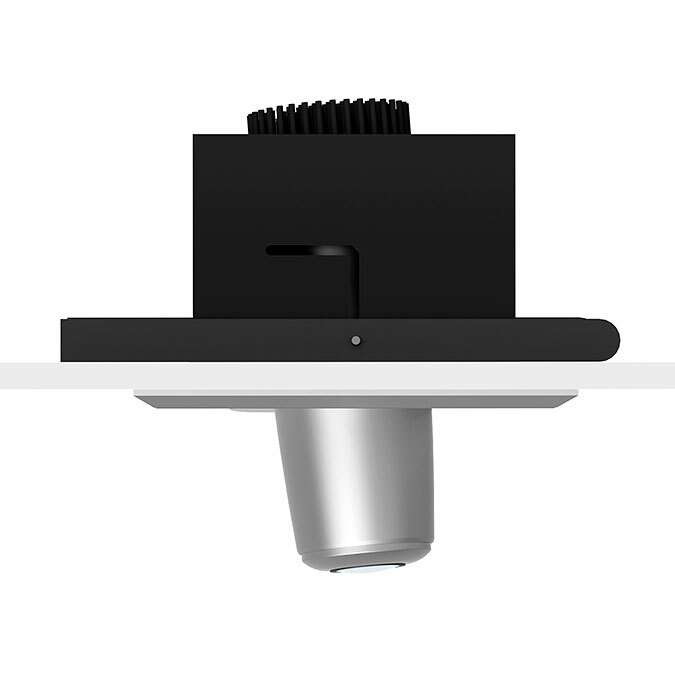 LED projector for installation in a suspended ceiling. The projected image can be changed without any tool. For focussing the lens is rotated. 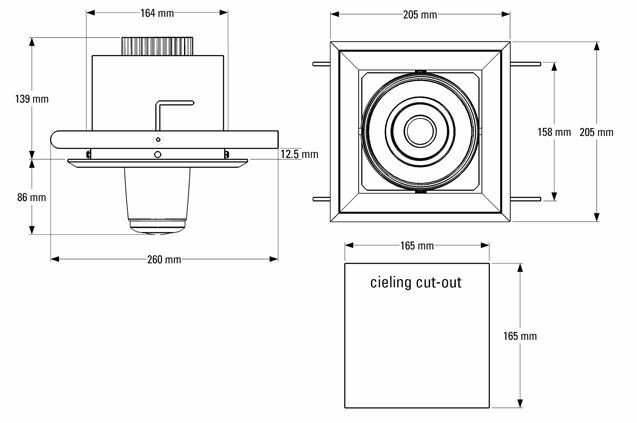 This projection light- gobo projector Derksen PHOS 20 DOWNLIGHT is manufactured in Germany and offers ideal solution for extremely bright projection of logos and other images in retail, bar, museum, gallery and many other places. 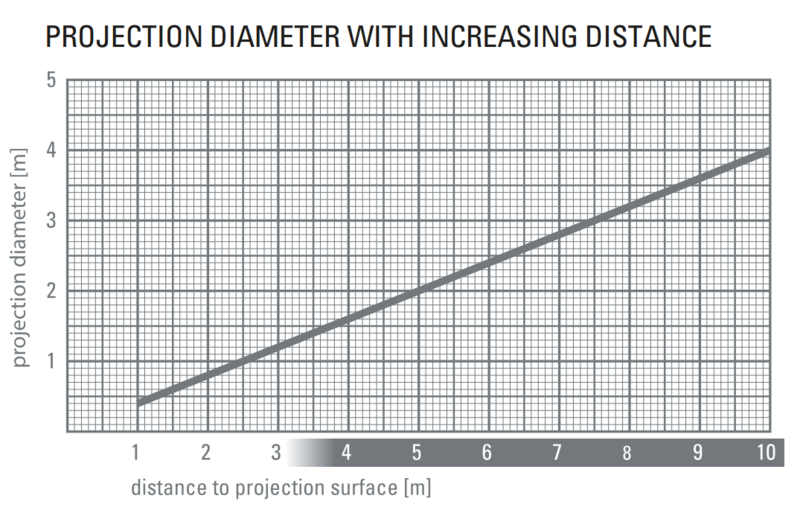 Perfect for branding, projection advertising, for projection of navigation and safety signs. 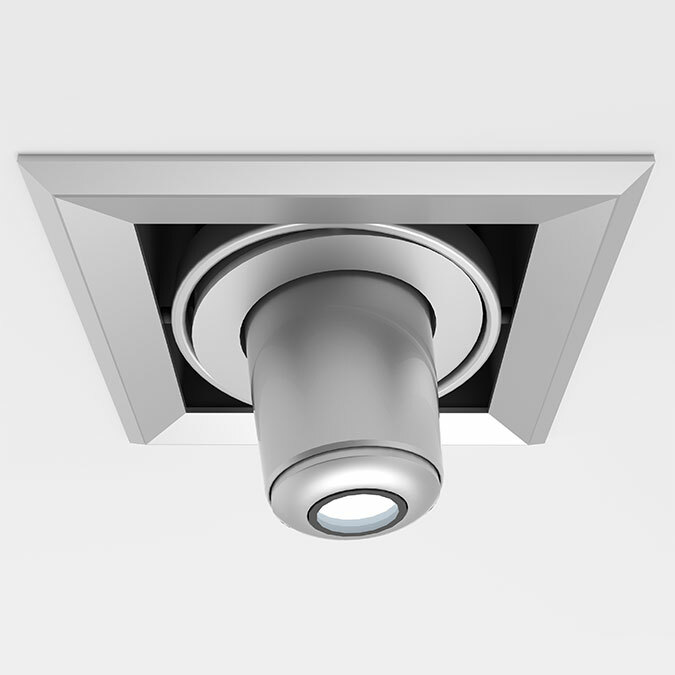 We offer gobo projector Derksen PHOS 20 DOWNLIGHT in two colour variations: silver, white.